We recently wrapped our most successful Webcast – “Mobile Interactive Video”. How’s that for a combination of marketing buzzwords? As expected, it was popular, but we did not expect how much so. This webcast quadrupled our average attendance. 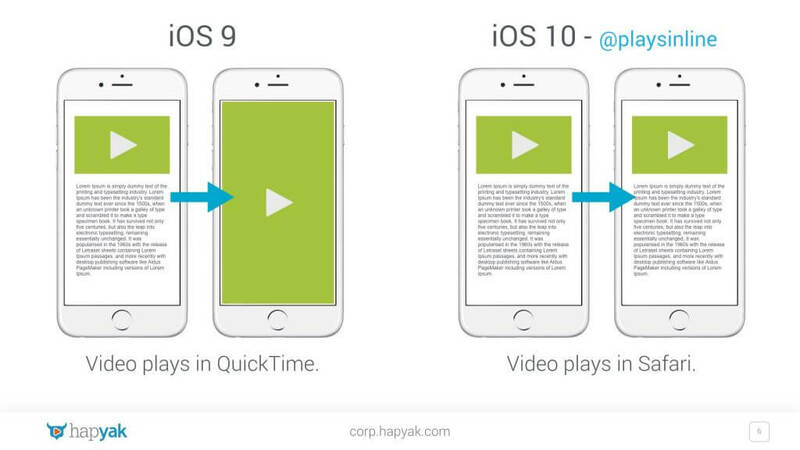 The change reads, “When the webkit-playsinline property is specified, Safari on iPhone allows videos to play inline.” This means that any clickable overlays added to the video – including HapYak’s – will soon begin to work on iPhone! 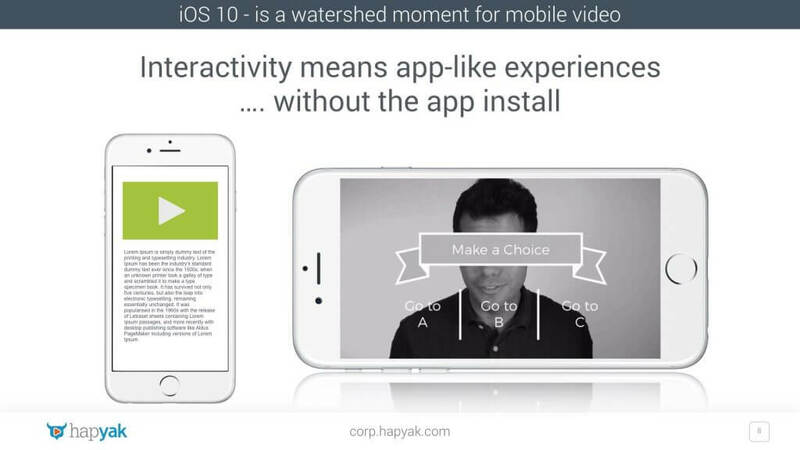 And this opens the door to a new world of mobile interactive video experiences. OK. 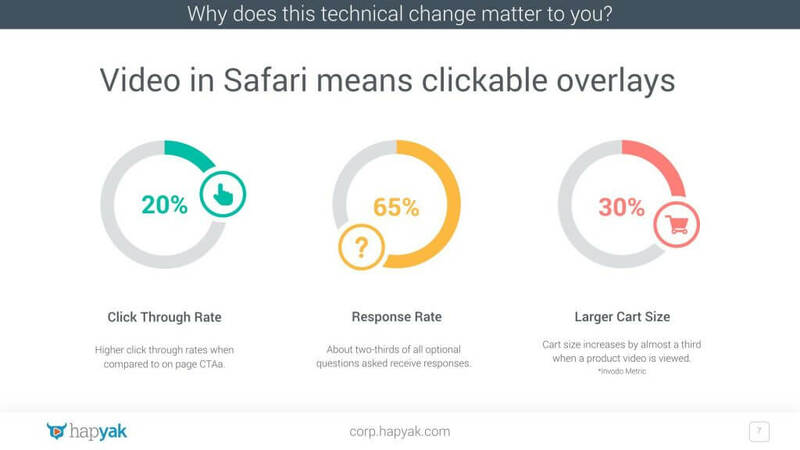 So let’s take a a look at three key slides from the presentation to see why this is such big news. In a nutshell, because iOS 10 will play videos “inline” in Safari, there will soon be video-based app-like experiences without the need for an app install. We have had a chance to play with the new iOS 10 beta and create a handful to examples. I’ve included full-res screen recordings of the examples below. These are early days but we’re hopeful this webcast and these slides awill help us all start thinking creatively about the new mobile interactive video world coming our way.